Available in 3 sizes, 130mm, 155mm and 180mm high. 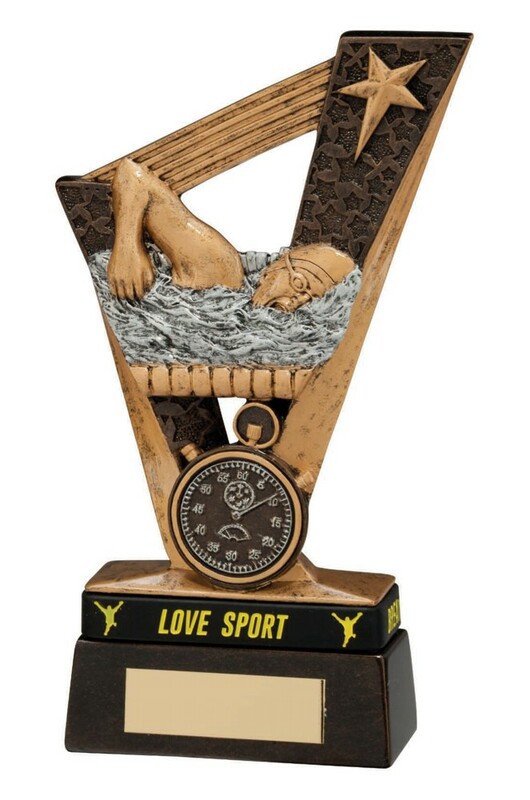 Antique bronze with gold and silver detail depicting a swimmer and stopwatch. Please note the smallest size does not include the trophy band.